Left to right: Jean Iron, Andrea Chreston, Carl Hills, Sarah Box, John Carley (group leader) and Ralph Toninger. 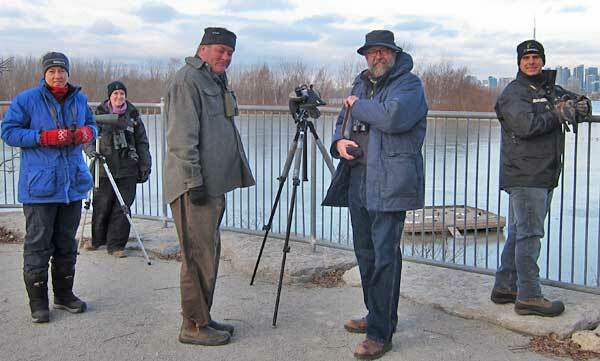 On the Spit our group tallied 31 species with a total of 2487 individuals, and at the Ashbridges Bay Treatment Plant 12 species with a total of 791 individuals. Our best bird was a Palm Warbler at the treatment plant. 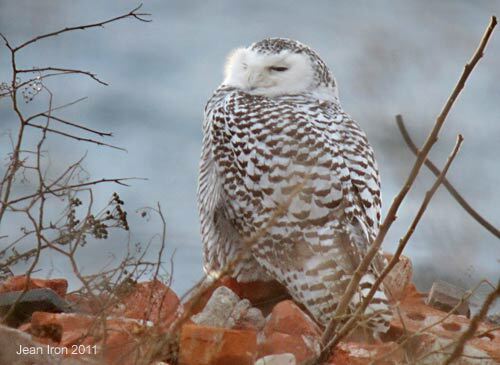 Our first bird was a Snowy Owl at sunrise. Later we saw another more heavily marked Snowy. 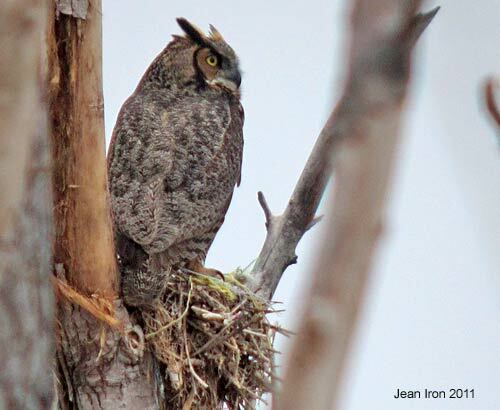 Great Horned Owl on Peninsula C. 18 December 2011. 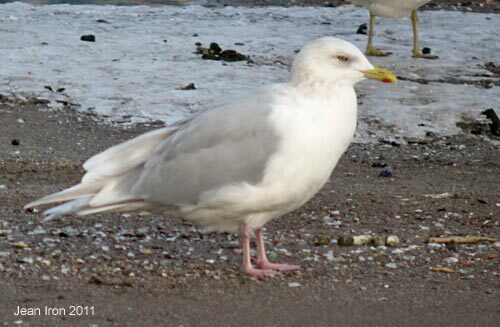 An adult Kumlien's Gull was among the gulls. 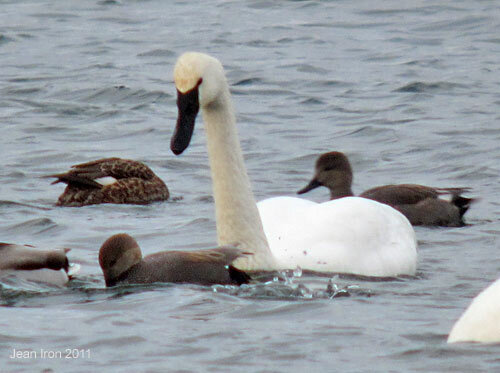 Two Trumpeter Swans were with Gadwall and Mallards. 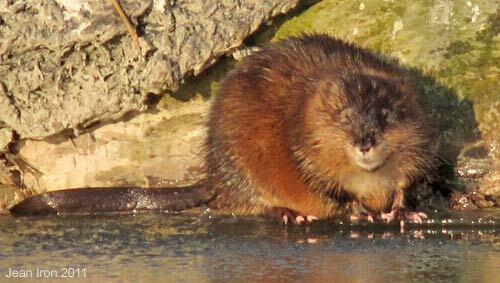 Due to mild weather, all bays and internal cells or lagoons were open with no ice. Left to right: Sarah box, Andrea Chreston, Carl Hills, John Carley and Ralph Toninger.